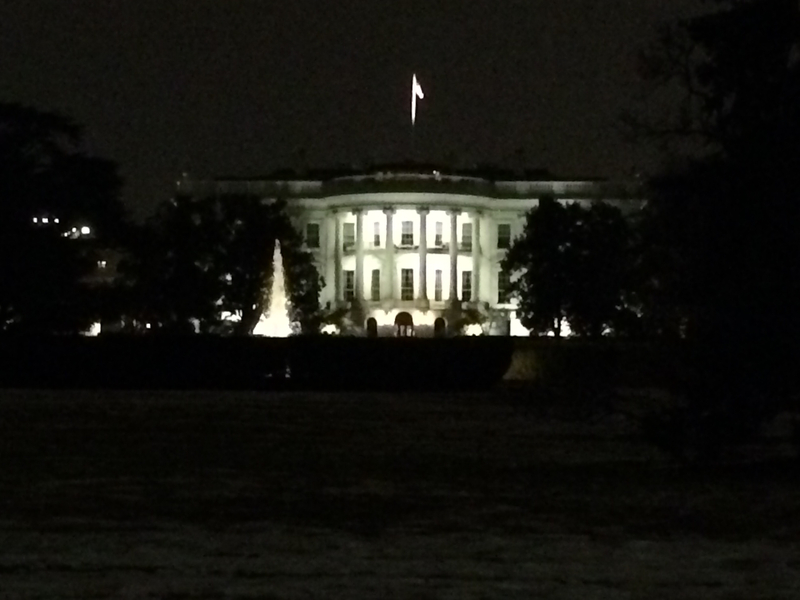 The HLHS Dad Goes to Washington (Part 1) | Half Heart. Whole Life. 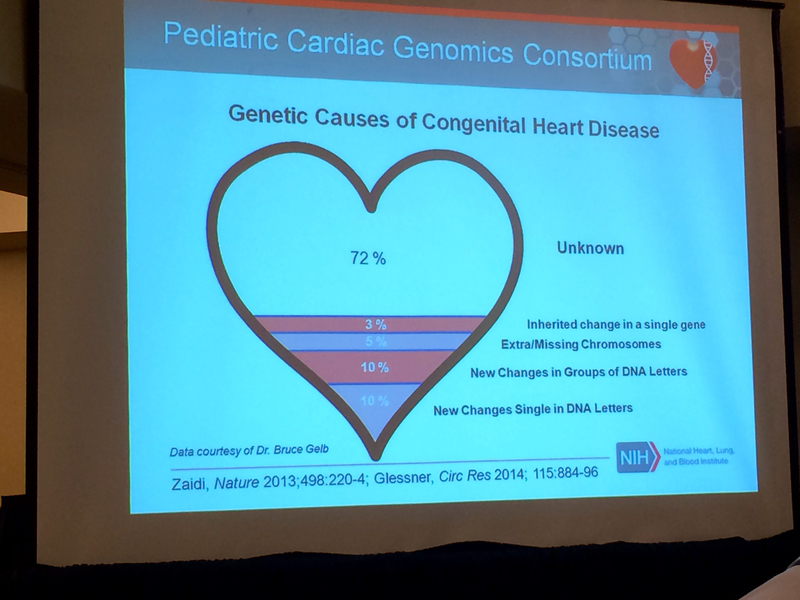 As you may have read in a previous post, I had a very special opportunity to attend the Congenital Heart Legislative Conference in Washington DC on February 25-26. I was really excited about the opportunity to speak with my legislators about CHDs and how funding research could really save lives! This young man is Jacob and he’s from San Diego. He was born with HLHS and received a heart transplant at a young age. 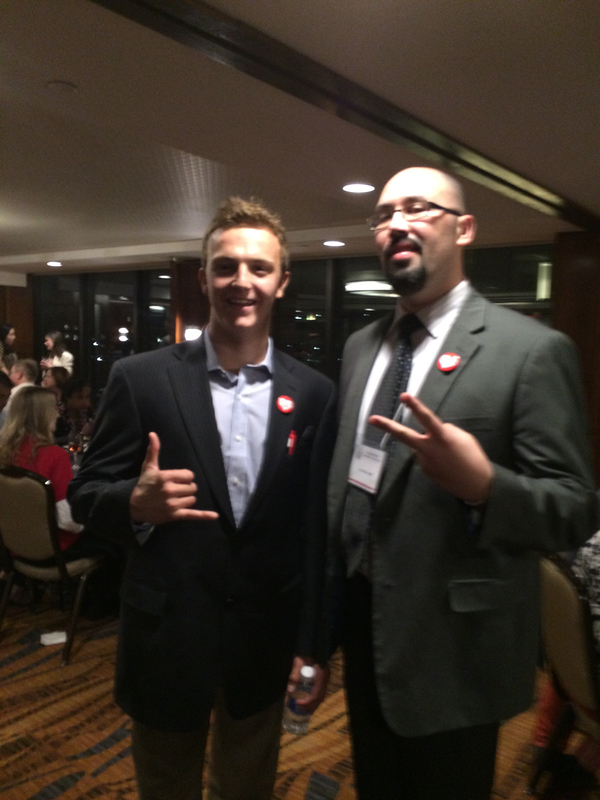 He was a very cool guy and had an amazing story and outlook on life. I got to spend some time hanging out with him and his Aunt on this trip and I’m glad I had the opportunity. I am going to blog more in depth about him and the work he’s doing, so keep an eye out for that! It’s very interesting to see that there’s some idea about the genetic causes of CHDs, but the truth is – and I’m sure we all know this – we just don’t know. That’s why the NIH needs continued funding to study CHDs! 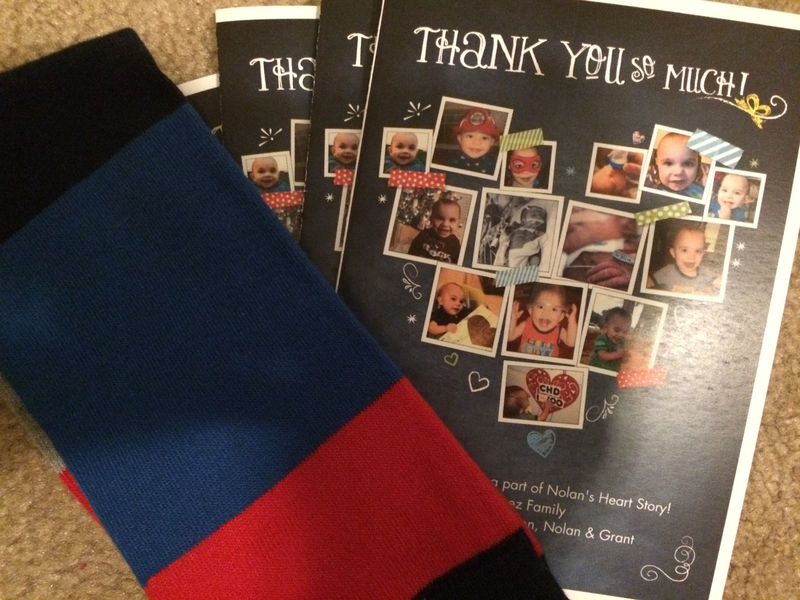 $5.6 BILLION to care for CHD kids…and that was in 2009! Imagine what it’s costing us now. The CDC is currently trying to gather CHD across the life-span, so birth into adulthood, so we know what our kiddos can face growing up and we can allocate enough resources to continue helping them survive and thrive. A big focus of this lobbying trip is increased funding for the CDC. They are currently budgeted for $4 million to study CHDs, but the truth is they need $10 million to do it correctly and with the biggest impact. For the rest of Day 1, we focused on learning these 3 issues, so we could ask our legislators to support them. The first is to continue supporting NIH research for CHDs. The second is that increased funding for the CDC to properly conduct its research. The final point has to do with Department of Defense funding. Currently the DoD has a pool of money that is given as grants towards peer-reviewed research. A physician, for example, could petition this group and receive some money towards his or her research. The great news is that CHDs are now on that list for the program! This is really awesome because I know there’s lots of great work going on throughout the country, whether it be work in the interstage, 3D printing, etc. 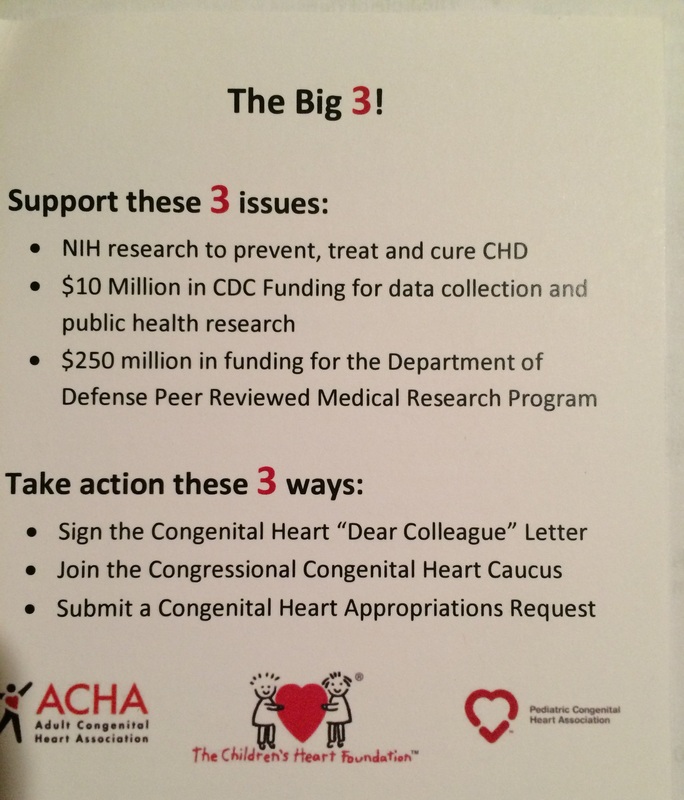 We wanted to ask our legislators to help keep CHDs on the DoD list. So those were our marching orders: go forth upon Capitol Hill and speak passionately with our legislators about CHD research! We may only get 30 seconds to speak, we might get 15 minutes…we might meet with the legislator, we might meet with his or her assistant. Either way, whatever opportunity we would get would be a powerful one…because our stories cannot be denied…and neither can our passion. But that would wait for Day 2. 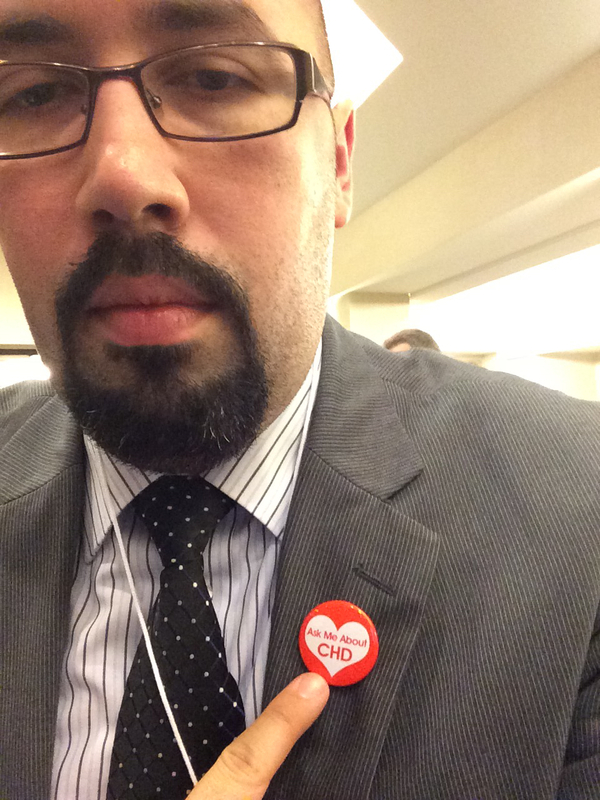 Posted on March 2, 2015, in awareness and tagged #CHDadvocacy, Adult Congenital Heart Association, advocacy, CDC, CHD, congenital heart defect, Congenital Heart Legislative Conference, HLHS, hypoplastic left heart syndrome, lobbying, NIH, Pedication Congenital Heart Association, the Children's Heart Foundation. Bookmark the permalink. 2 Comments. What a nice looking young man you met….Jacob Kilby huh? Hahha. We were so happy to have a friend there and you made getting to know you super easy. (This is Charity by the way.) I just LOVE this blog. Truly needed and I’m sure appreciated by many dads out there.